Let’s be perfectly clear about how California adopted the Top Two primary system: Voters approved it. And it won a majority vote in every county but two – Tulare and Orange. Voters want the freedom to choose. In this case, a majority of voters want to choose from among all of the candidates because they increasingly don’t agree with one party or the other – much less all of the candidates within just one of those parties. Without that choice, power shifts even more from the people to interest groups and to the parties themselves. In a so-called “closed primary,” the most noble politicians must worry more about “their base” than all of the voters in their district – never mind those who can’t or simply don’t vote, the young, the newcomers, the dispossessed. A Top Two or open primary flips the power switch, which is what makes party leaders and their biggest backers uncomfortable. It is why even before the June primary election they are spinning excuses for not winning, for not even coming in second so they have a candidate in the November general election. California voters first enacted open primaries in 1996, when nearly 60 percent of voters approved Proposition 198, demanding more choices at the ballot. A major political party disagreed with a majority of the voters. The party challenged the measure on the grounds that the party’s freedom to association trumped the voters’ freedom to choose. The party won. In the years that followed, as America became more partisan, California’s Legislature became hyper-partisan. Gerrymandered districts and closed primaries largely predetermined which party would win individual Assembly and Senate districts, which meant the election that really mattered was the primary. The surest path to victory was to be the most liberal Democrat in a blue district and the most conservative Republican in a red one. The general election was more of an anointing. This was a system designed by the parties and for the ideologically pure. Many factors contributed to California’s downfall in the early 2000s, but partisan gridlock in the capitol compounded everything, from budget-busting recessions to self-induced blackouts. If a Republican voted for a tax increase or a Democrat bucked a public employee union, they were assured to be “primaried,” taken out by their own party before all of the voters even got a say. Senator Abel Maldonado experienced this dynamic as a candidate and an incumbent. He is among scores of politicians who understood the distortions of election law were frustrating the ability of reasonable people from different perspectives to find common ground. As a lawmaker willing to compromise, he struck a deal in 2009. For his Republican vote on a late state budget, the Legislature agreed to give voters another chance to approve a new version of the open primary that had been affirmed as constitutional by the U.S. Supreme Court. If Maldonado had not struck that deal, reform groups would have funded a citizens’ initiative. The Independent Voter Project had already done the legal work. Maldonado could have traded his vote for a cushy state job or a judgeship – the typical ransom. Instead he asked that voters be given a choice to increase their choices. Maldonado didn’t force the change. He forced a vote. The change didn’t happen in the middle of the night; it happened on Election Day in 2010. California Forward’s experienced and bipartisan Leadership Council in 2008 identified open primaries as one of several political reforms that would contribute to the incremental and necessary process of shifting power back to the people. 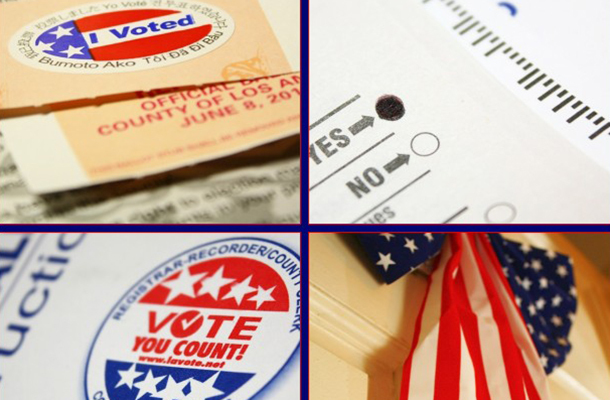 Analysis conducted for CA Fwd documented the potential for improving voter engagement and policymaking. Along with citizens redistricting (Proposition 11 of 2008) and term limit reform (Proposition 28 of 2012), top two primary is having a positive effect on many candidates and incumbents. It is both difficult and unnecessary to parse the credit among the reforms. All candidates are now aware of the need to – and the potential benefits of – talking to more than just their base voters. They have a larger incentive to listen to the growing plurality of voters who are not affiliated with either party – particularly millennials who are inheriting excuses and want solutions. Candidates now have a path to victory – still narrow in too many districts – to being elected without having to swear allegiance to extreme partisan positions and interest groups. Often times these members are referred to as moderate, but that is simply not the point, and often wrong. They are usually just as passionate and just as principled. But because they are accountable to all voters, they also are empowered to negotiate with party leaders on the priorities in their districts, even if those are not the priorities of the party leaders and the biggest donors. These reforms have not dramatically changed the dynamics in all 120 Senate and Assembly districts. But they are encouraging enough lawmakers to listen more carefully to more voters and to speak up for the less powerful – which is what Californians voted for not once, but twice. The Top Two primary is not perfect, but it is better than a closed primary. The best electoral process is one that evolves toward the public interest. Democracy depends on freedom and freedom depends on democracy. As you exercise your freedom to choose in this primary election, be watchful for those who would limit your choices.